In late 2012 I damaged my back during a Pilates session and I had never experienced such excruciating pain in all my life. If you have had a back injury or suffer from back problems you will understand how important it is to take care of your back. It took months of rehabilitation and physiotherapy, and many times I would do simple things like bend down to put my shoes on and would pull my back again and be unable to move. So making life easier and more comfortable for my back has always been something I wanted to look into. Neural damage is often something that does not fully heal but can be managed with exercise and taking care of the body, and one such way of caring for the back is to make sure you don’t carry too heavy a load or carry uncomfortable bags. I am guilty of this. Choosing fashion over practicality, and I will probably continue to do this to some extent because I am an absolute bag addict (some women love shoes, my addiction is bags). So I was really pleased to come across the Healthy Back Bag Company which actually creates and sells bags that work with the spine and not against it. I was also pleasantly surprised to find the shape and style of the bags leaned towards my more fashion conscious mindset in the accessory market. Having seen the Healthy Back Bag Company online a few times, I did have a healthy skepticism about the bags and was keen to put them to the test, so I wrote to the company asking if they would like me to review a bag and they sent me the Coral Microfibre Bag size small (£49.00) a perfect Spring/Summer accessory. Why A Healthy Back Bag? This is the first bag I have come across that has actually been developed by a doctor and a chiropractor. So this is not just a random ‘woo woo’ statement made by the company. It genuinely has a good reason behind its creation. The shape has been designed in such a way as to make it ergonomic and it actually follows the contours of the back. Comparing this to my other normal shoulder and across- body bags, this bag makes a big difference to my posture. With my usual across-body or shoulder bag I am told I lean slightly and as a result one shoulder appears to be higher than the other, not great for my back overall. 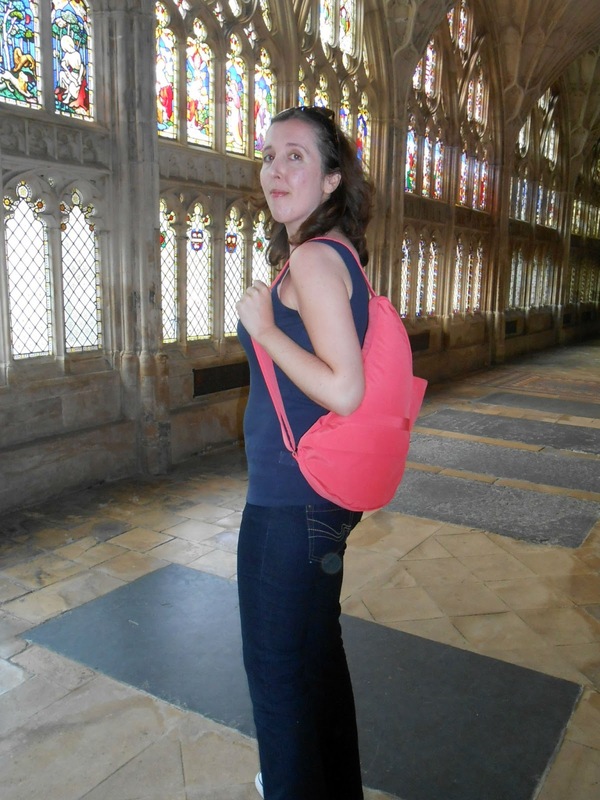 My first impression of the bag was a very girly impression – the colour! I love coral and teaming coral with white trousers in the summer is a perfect accessory. My second impression was how many individual pockets it had. No more rustling around my bag to find my keys or search for my umbrella or digital camera. It has sections for everything! I was even surprised to find an outside water bottle pocket that is also suitable for a miniature umbrella and an inside pocket for umbrella or water bottle – something that is essential to me as I carry water everywhere. I must admit though, I did wonder how to wear it initially and wondered whether it was intuitive (as in you simply pop in on your shoulder or across the body). I am pleased to say that it is. The strap has a non-slip section so that when wearing more slippy garments (i.e. a waterproof coat) it doesn’t slide, and I found that even without a jacket I was not having to re-adjust the bag frequently, which I normally have to do with my other bags. On a trip into Gloucester this past week wearing summer clothes and carrying the bag across my body, I almost forgot I was carrying a bag. It actually felt like the bag wasn’t there. wearing the bag across body. The Healthy Back Bag Company encourages keeping the strap as short as possible, so that the bag sits against the curve of the back and the contours of the body. This seems to make all the difference. In the summer I often carry a rucksack on my hikes into nature but still, even with a rucksack on two shoulders I always felt the bag’s weight. So this is certainly a keeper for me. (no need to hold strap I was just posing – grin). I also like that if I do not wish to carry the bag across the body it sits nicely against the curve of my back on one shoulder. Normally this causes problems with other bags, but this felt very natural too. I like that the company encourages smaller bags over large bags, because I have a tendency, if the bag is bigger, to just keep on filling it with stuff I probably won’t even need on my day out or on my walk. The size small microfibre bag was perfect for all of my spring/summer pieces. I always carry a water bottle, camera, umbrella, notebook and pen and a light sweater and they fitted perfectly in here with room to spare for a snack on my walk. In fact it was amazingly roomy. Reminded me of a Mary Poppins bag that looks smaller than it actually is. As someone who loves to travel I really loved the security aspect of this bag. Apart from being ultra comfortable the zips are on the inside and so long as you move the zips to the bottom of the bag they do not affect the comfort against the back. Also a double zip is perfect for attaching a lock if needed when putting into the overhead lockers on airplanes. Perfect for moving through crowds on trips out. I felt completely safe on the extra packed docks area of Gloucester during the Tall Ships Festival. This bag has 4 exterior pockets and 6 interior pockets. I like pockets in bags. Nothing worse than having a large bag with no extra pockets and having to rummage for my purse, or passport or anything important. This bag has 4 exterior pockets and 6 interior pockets. This not only keeps me organised, it also helps distribute the weight of the bag evenly. Ingenious idea. 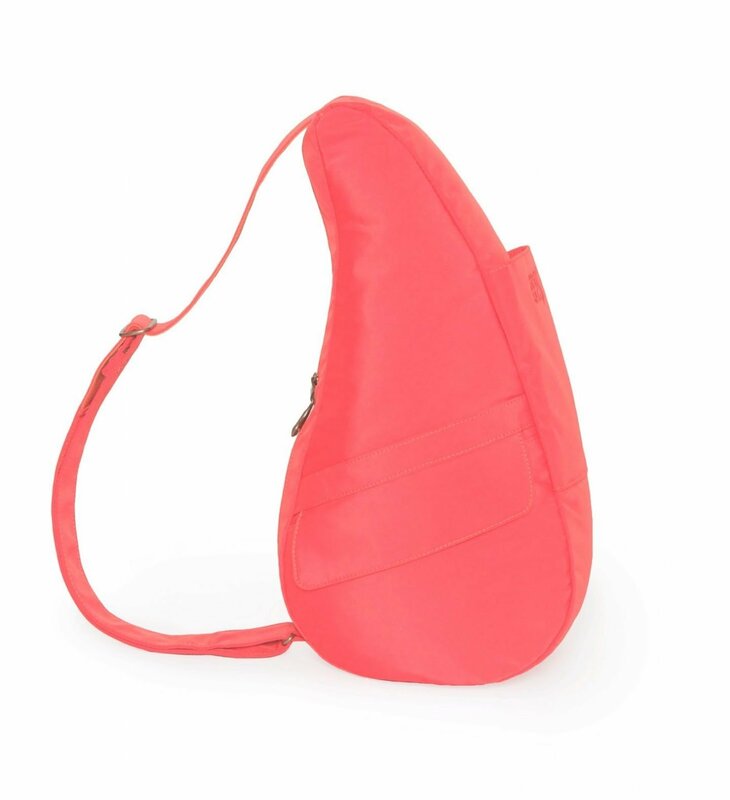 This Coral bag is classed as small but is amazingly roomy! Every cloud has a silver lining or every bag should have a silver lining. Something so simple yet so effective. This bag has a silver lining so no dark corners when looking for what you want. This is so handy when in a hurry. The healthy back bag is neither male nor female but unisex. They have a great range of colours and choice for both man and woman. The bag to the left is the Earth DNA Healthy Back Bag in size medium (RRP £52.00). The Healthy Back Bag really put a lot of thought into what the body and back needs and I look forward to continuing testing the bag throughout the summer. For the first time I could not find any constructive criticism about this product, probably only that I now have a deep desire for a leather or waxed version after perusing the extensive choice on the website. Something of the traveller in me is very drawn to the waxed vintage bags as it brings out the Marco Polo in me. I would also love to see a range of bohemian-type beaded versions with embellishments on. Something of the hippy in me loves a bit of a handmade look to a bag, but overall I love the range. Who Would Benefit From A Healthy-Back Bag? Anyone with back issues who finds a normal over-the-shoulder or across-body bag a challenge to carry. Anyone who is keen to feel more free and lightweight when walking or going into town, as the hands-free across-body way of wearing the bag is very lightweight when worn correctly. Anyone wanting good organisation as well as excellent functionality in a bag. Anyone that has always gone the rucksack route when it comes to comfortable bags and is wanting something with the comfort of a rucksack (yet more so) but with the fashionable fabric and style of the Healthy Back Bag. Any keen travellers or people going on holiday who want an easy and secure bag for storing passport, travel documents, and is light for browsing the departure lounge of an airport. The Healthy Back Bag hands free. secure when moving through crowds. Ergonomic, super lightweight when worn correctly, comfortable and easy to access. Secure with zips not on the outside. Excellent range of pockets for brilliant organisation. Surprisingly roomy. Silver lining really helps with finding what you need in the bag. Stunning colour. Does exactly what it says it does. I try to give a balanced review on all the products I review, as people tend to find both the positive and negative in a review more believable, but I can honestly say I found no fault with this bag or the ethos of the company. Only that I now have a great desire for more colours and a leather or waxed version. for providing me with a bag to review. Please Note: The Healthy Back Bag Company is a subsidiary of Ameribag. Post Disclaimer: I received a Coral Microfibre size small bag from The Healthy Back Bag Company in the UK for review. All opinions are my own. Next Post Frustrated and Feeling Stuck ? Either Ameribag has changed their name or someone has copied their product right down to the inside pockets. I've been using this exact bag for over 25 years. Bought in the US on travels. It's fantastic and really works. Ameribag sells them in all sizes and leathers. I have several. Hi Lise thanks for pointing that out. The Healthy Back Bag Is part of Ameribag. I think it is just the name used in the UK. The zips say Ameribag, I will add this to the bottom of my post. Great to hear you like them. Thank you Lise, it has been a permanent addition to my back since I received it. And you are so right it really does work, I never knew I had it on today around town. Glad your shoulder is healing. I am a convert now always carried a 2 shoulder backpack or one shoulder handbag. We all could do with one of these. Excellent Anna! they are fab and love the range of styles and sizes. We don't realise how much damage we do with improper bags. 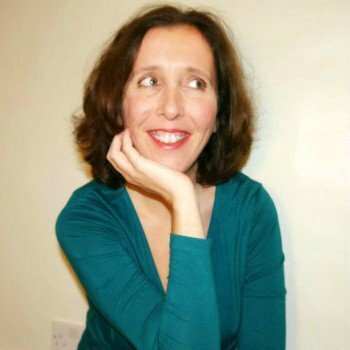 Following a breast cancer diagnosis, I had lymph nodes removed from my chest recently and am advised not to wear bag straps over the affected arm to avoid lymphodaema, an unpleasant chronic swelling condition. I usually wear a rucksack when I am on tour so that's no longer possible. The healthy back bag should be the perfect solution for me and for anyone else who had had breast cancer surgery – so that's another group of people that would benefit from this great design. That is a great point, I had never thought about that. I will pass this onto the company I am sure they will love to hear about this.